Swivl Technology is available to all NESC member schools! 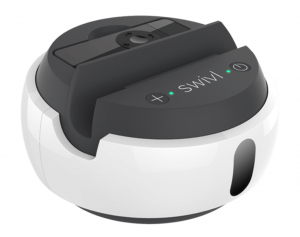 How can NESC member schools benefit from use of the Swivl? Teachers can record their instruction for self-reflection and improvement towards their personal professional goals. Teachers can record their instruction for self-reflection and improvement against the components of their school’s evaluation model. Teachers can build collections of video recordings for shared viewing and discussion of best practices during Professional Learning Communities, professional learning sessions, instructional rounds, mentoring sessions or staff meetings. Teachers can record lessons and make them available to students online. Teachers can experiment with a flipped classroom approach to instruction. Leaders of professional learning can record and review their sessions for enhanced, professional practice. Students working on classroom presentations can record themselves and review their performance prior to the big event. Reserve a Swivl kit for your school today by contacting NESC Director of Professional Learning and Operations, Erin Lacina (Erin.Lacina@nescnd.org or 701.662.7650)! Eight NESC Swivl kits are rotated through NESC member schools on an as-needed basis.